— At 9:12 a.m. Tuesday, police responded East State Street and South Lincoln Avenue where a vehicle was stuck in a snow embankment and was towed out while police maintained traffic control. 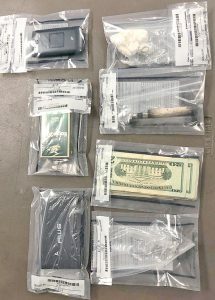 — An officer recovered a Citizens Bank card in the East State Street and South Broadway Avenue area at 9:27 a.m. Tuesday. — At 10:08 a.m. Tuesday, police responded to the 1000 block of North Lincoln Avenue where a vehicle was pushed off the road until help arrived. Police also advised the driver of a registration issue and he advised he would take care of it. — Police responded to the 1500 block of Southeast Boulevard at 11:44 a.m. Tuesday where the complainant advised her granddaughter was unruly and creating a disturbance. Her caseworker was present and the options were discussed. — Police responded to a report of the traffic signal at South Lincoln Avenue and East Pershing Street not working at 12:31 p.m. Tuesday and observed it for a couple of cycles and it did not malfunction. — At 1:53 p.m. Tuesday, police responded to the 200 block of East Fourth Street where the complainant advised of receiving unwanted text messages. An officer made contact with the person via phone and advised them to cease. — Police responded to the 900 block of East Fourth Street at 2:56 p.m. Tuesday for a domestic call and learned the subject fled on foot. The complainant advised she wanted to leave the residence but the other person was kicking her things around, blocking her way. There was no physical violence, the complainant just wanted to get her things and leave. Police located the man and he said he did not plan on returning to the residence any more. — Police responded to the 300 block of East Sixth Street at 3:35 p.m. Tuesday, where a person checked on their stepfather and found him deceased. Salem Fire Department first responders, and ambulance arrived and a representative from the county coroner’s office responded. It appeared the person died from natural causes. — Police responded to the 400 block of South Broadway Avenue at 3:42 p.m. Tuesday where the complainant advised her vehicle that was parked in front of her business was covered with snow and dirty slush after a city plow went by. Slush was all over her vehicle and she will wait until the snow melts to see if there is any damage and if so expects the city to pay for it. Police did not observe any damage and photos were taken. — At 4:50 p.m. Tuesday, police responded to the 2500 block of Bentley Drive regarding an assault report. One female was being transported to the hospital and police spoke with a male involved and also a witness. It was found the injury was an accident and police spoke with the female with power of attorney and advised her of the other female’s situation. — At 6:04 p.m. Tuesday, police responded to the 200 block of West State Street where the store manager advised a customer had told her she was going to strike her. Police contacted two people outside who advised the dispute occurred over a pre-paid credit card and the manager was very rude. They denied making threats but said the manager was following them around causing the issue. The manager did not want to pursue the issue. — At 7:17 p.m. Tuesday, police responded to the Southeast Boulevard and South Lincoln Avenue intersection where the complainant has a protection order against her husband and that while driving in town he began following her on state Route 344 out of the city. He got so close she could see the license plate and he passed her at a high rate of speed and slammed on the brakes multiple times attempting to cause a crash. He stopped at Jersey Ridges Road and Route 344 and waited for her to get close. He turned left on Jersey Ridge Road at a high rate of speed and was slamming on his steering wheel. The complainant wanted to pursue charges regarding the protection order and the report will be forwarded to the county prosecutors office. — At 12:34 a.m. Wednesday, police responded to the 1800 block of South Lincoln Avenue to assist Perry Township with a traffic stop on state Route 45, south of the bypass and stood by. — Police responded to East State Street and North Union Avenue at 3 a.m. Wednesday in response to a car horn blaring for approximately 15 minutes. The vehicle was located on North Union Avenue and while identifying the driver it was found she didn’t have a valid drivers license. Shannon M. Griffith, 2040 Monroe Ave., #75, was cited from driving under suspension and her vehicle was towed away. — An 1100 block Prospect Street resident reported at 9:07 a.m. Monday her neighbor had thrown snow all over her vehicle while shoveling out from the recent winter storm. The resident said she was now unable to move her vehicle. — An officer responded to a 400 block Benton Road home at 6:01 p.m. Monday where the resident reported someone had stolen a gaming system from her bedroom. She said she had just recently kicked out a male individual who had been staying with her and that she then discovered keys missing from her coat pocket. She said someone had also entered her vehicle while it was parked at her job. There was no damage to the home and no sign of forced entry. — Police responded to the area of Georgetown Road near Prospect Street at 6:57 p.m. Monday in reference to a male individual walking in the roadway, but were unable to find anyone. — The Ohio Department of Transportation requested a camper in the 1400 block of Newgarden Road be moved so that the road could be plowed at 2:55 p.m. Tuesday. Police were unable to contact the homeowner, but she later called to say she was out of town but would have someone move it. — A Stewart Road resident reported at 2:56 p.m. Tuesday her ex-significant other’s girlfriend is sending her unwanted texts and social media messages as well as texting friends and family members. An officer left a message for the suspect. — Police responded to the area of the bypass north of West State Street at 5:48 a.m. Wednesday in reference to someone in a small size truck with a flashing yellow light on its roof driving recklessly. The officer could not locate the vehicle. — An officer responded to the 200 block of State Street at 8:32 p.m. Tuesday in reference to a pickupblocking the alley between State Street and Ridge Street. The owner was found to be a Pine Street resident, but the officer could not contact him. Instead the officer was able to contact the owner’s father to have the vehicle moved. When the officer returned to the area, the vehicle was being moved.